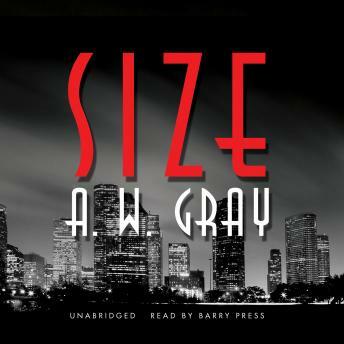 This hard-boiled tale from A. W. Gray takes its title from its hero, con artist and poker player Sizemore Brandon, a gentle if criminal giant and sidekick to Pecos Jimmy, a Dallas racketeer majoring in gambling. When Size is called to testify against his boss, Jimmy decides the time has come to dispense with his services permanently. The stakes are high, and Size will have to play his cards right if he is to come out on top in the seamy underbelly of Texas.